When we look outside, we see the world as a very visual place, with many aspects that change what we see. In cities, skylines are transformed by towering buildings that touch the sky called skyscrapers. The first skyscraper, the Home Insurance Building, was constructed in 1885 in Chicago. 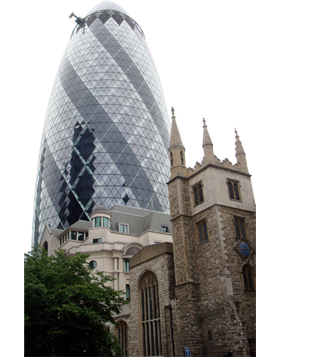 Buildings grew taller and taller with the invention and use of steel, reinforced concrete, water pumps and elevators. Buildings taller than four floors attempt to lighten the load of construction by using frame engineering inside, supporting a thin, light curtain wall on the outside. Skyscrapers continue to compete to see which one can claim the title of the world’s tallest building. Skyscraper design and construction present many challenges to the designer and engineer such as in the case of the World Trade Center, demanding security and longevity considerations. Research a tall building. 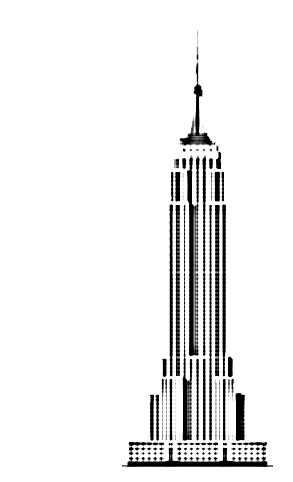 Draw or copy a picture of your skyscraper. Collect details about its circulation core, structural system and skin. 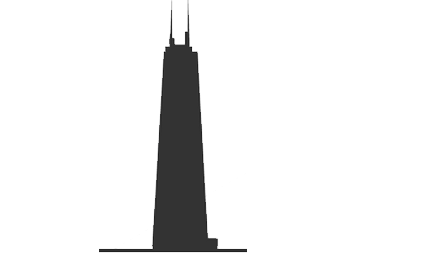 Make a research poster or create an outline for a skyscraper paper. Use the library and the internet to collect at resources for your research. Write a three page paper or submit a poster to the gallery. Once you better understand why and how tall buildings are built, consider researching and writing about the tallest building in your city! Cities all over the world compete to build the world’s tallest buildings. 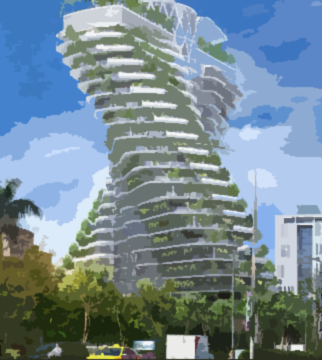 Research tall buildings today and read about new technologies that are changing their designs. Pick a few of the tallest buildings and compare their height, cost, construction time and design principles. Which one do you think is the most beautiful? Which one do you think will still be standing in one hundred years? With cities needing to provide more and more housing, skyscrapers can provide an efficient use of land to house many people; on the other hand, adding intense populations in small areas tax resources such as water, food, transportation etc. Would you like to live in the sky? While “mile high” buildings have been conceptualized by architects like Frank Lloyd Wright, Jean Nouvel and others, today’s buildings are not yet there. Which building is considered the first true skyscraper? Who designed it and where was it built? What structural system was used? What materials were used? Research the history of skyscrapers and discover the inventions that made living vertically possible! 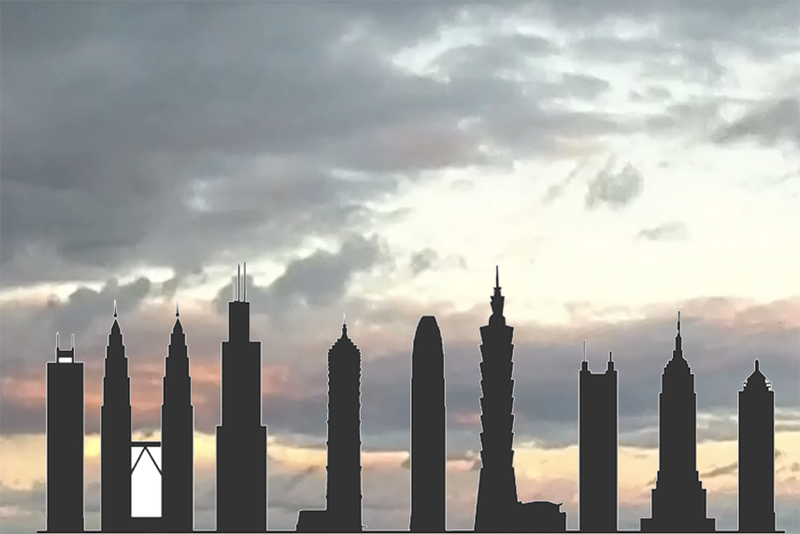 Look at the tallest skyscrapers built and draw their silhouettes! Would you like to live in the sky? Using 3x5 note cards ($1,000 per unit) and a 1’ strip of tape ($5,000 per unit), design and build a tower to support as much weight as possible as far off of a table top for the least amount of money. You can bend, fold, and tear, but you can only use your hands and the tape to assemble. Submit a photograph of your tower with its height, total weight supported and cost. A low-rise building rarely deals with wind loads, whereas a skyscraper must take into consideration this factor in its design. The term skyscraper comes from a nautical term for a tall mast or sail on a sailing ship. In your sketchbooks, design and draw your own skyscraper. It will be a downtown office building overlooking the lakefront. Show a building core (which contains elevators, fire stairs, and men and women facilities), as well as the room layouts of a typical floor. Decide what type of structure you will use and show it in your section drawing. Show both a plan, and a section. Also draw a series of 3D perspective drawings of your design. Submit your drawings. Skyscrapers make an efficient use of land by placing people and their activities (living, working, learning, playing) vertically. But the increased density of people also increases the need for and use of energy and resources. Architects and engineers are now working to design skyscrapers that use far less energy even to the point of zero energy towers. What can you imagine would collect water on tall buildings? 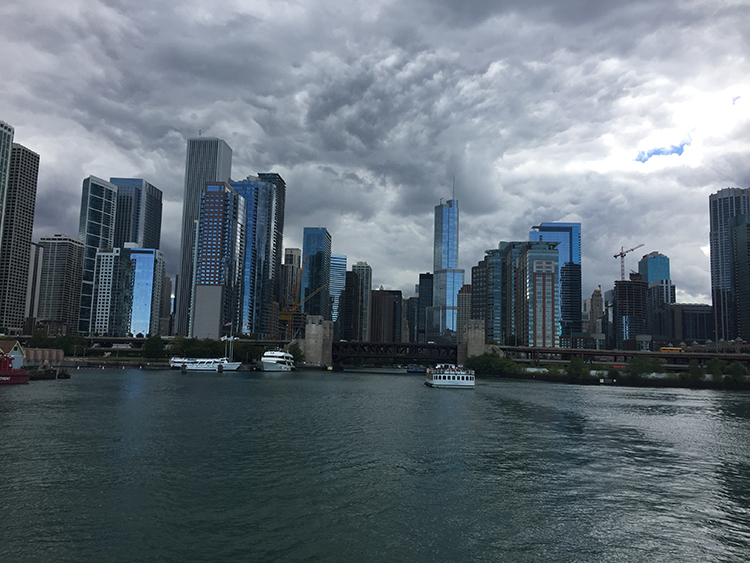 How could tall buildings collect, store and use power from the wind? How can solar energy be harnessed for heating and hot water? How can the constant temperature of the earth be used to offset heating and cooling? Design a skyscraper that uses these strategies for lowering energy consumption and reducing the carbon footprint of a skycraper. Be sure to draw a section noting the energy saving details that you design into its foundation, skin and roof.